The ancients might be amused that the problem of “What shall we do with Stonehenge?” has lasted about as long as Neolithic man took to construct England’s emblem in the first place. Conflict between the preservation of this astonishing temple to the sun and the demands of tourists, motorists and the military is as old as the Wiltshire downs. But from this morning, the struggle may be over. “Standing here now it is hard to describe the feeling of relief, excitement and elation that I feel,” says Simon Thurley, chief executive of English Heritage. “Here” is the new visitor centre, gateway to the nation’s most significant ancient site. Late Neolithic man bequeathed us the only lintelled prehistoric stone circle in the world – and the lintels are responsible for the allure. While Scotland has more impressive stone circles, at Callanish on Lewis and Brodgar on Orkney, the structure here resembles a series of doors that invites the onlooker to gaze in on the past. But how to make sense of it all? Interpretation for the million-plus annual visitors to Stonehenge has, up to now, been dismal. Among the many planning outrages that were being perpetrated in the Sixties, Stonehenge escaped relatively lightly. While Euston station was being demolished and Plymouth city centre was being constructed, the 4,500-year-old circle of English “sarsen” stones and Welsh bluestone was given a 1968 upgrade of its own. The quasi-military bunker has served, for 45 years, as a visitor centre in the loosest sense of the term. Hemmed in by car and coach parks, it felt like a suburban muddle rather than a gateway to the past – more Penge than henge. Its doors closed yesterday, thank goodness, and from this morning the site will be treated with more dignity. The elegant new visitor centre is a post-modern solution to a prehistoric problem. It is the heart of a much-delayed £27m package of improvements designed to rescue the temple complex from centuries of abuse. The director pronounces herself “hugely pleased” with the results. “It’s such a beautiful building that sits so well in the landscape,” says Loraine Knowles. Were I called upon to sum up the design in three words, they would be “Nordic airport terminal”. Which suggests either that the needle-thin columns soaring to perforated eaves like a deconstructed Rubik’s Cube are a touch adventurous for Wiltshire, or that I have spent too long hanging around Tromso and Turku. The materials, though, are strictly local. The platform upon which the new tourist temple sits has travelled far less distance than the stones – it is a limestone raft quarried near Salisbury. And the wooden benches in the light, spacious café look as though they may have been purloined from the branch of Wagamama in the same city. But high-spec furnishings are the least you’d expect after paying £14.90 to get in – up from £8 since yesterday. After experiencing the breathtaking new exhibits on the south side of the terminal – sorry, visitor centre – however, you will probably judge the 86 per cent admission hike to be fair. Expertise, electronics and hard cash have combined to explain the Stonehenge saga eloquently. Over a few centuries, archaeologists’ understanding of the “what”, “when”, “how” and “why” of Stonehenge has steadily refined – but until the 21st century the notion of “who” has been as opaque as the morning mist. “In the past 10 years, our understanding of Stonehenge has been revolutionised,” says Simon Thurley. Today, the visitor gets to stand amid a virtual stone circle at the start of the exhibition area, as projectors play a continuous cycle through the seasons of Stonehenge, catching the rising sun on the summer solstice and the setting sun of midwinter. Then the scale of the sacred engineering is explained: 35-ton lumps of ultra-hard sandstone – known as sarsen – were dragged south from the Marlborough Downs, while smaller slabs of bluestone were fetched from the Preseli Hills in west Wales, 150 miles away. The building of a temple, initially for cremation ceremonies, was carried out with only the most rudimentary of tools; antlers were a favourite for earthworks. But what did the builders of Stonehenge look like? English Heritage has commissioned a best guess. 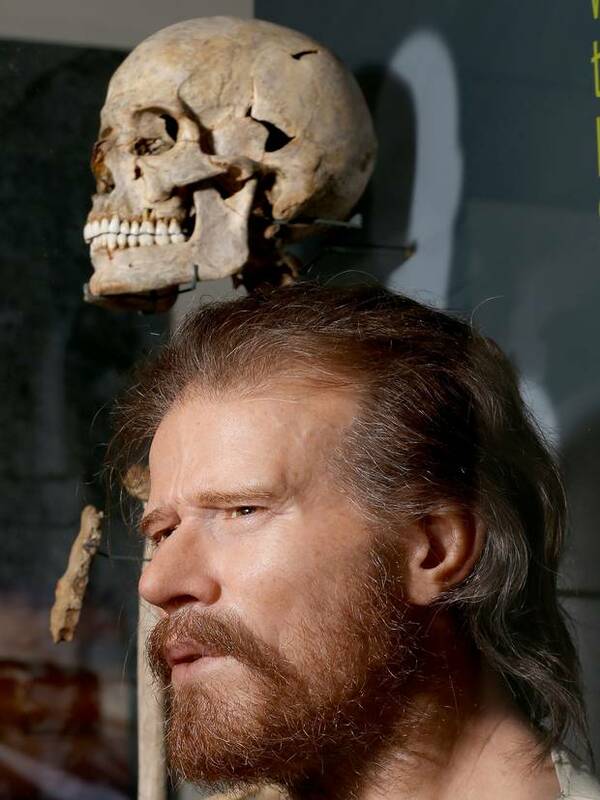 A Swedish expert in forensic reconstruction has created a handsome, bearded head from studying a skull found on the site. The final element of the visitor centre is an area for temporary exhibitions – the first of which is an enchanting account of how Stonehenge has been interpreted over the centuries. Medieval man believed it to be a marvel brought by Merlin from Ireland. The circle was also attributed over the centuries to Romans and Druids, before finally being marked down as the work of good-natured ancient Britons. The visitor centre is opening just in time for this Saturday’s winter solstice – and not a moment too soon for anyone, such as Dr Thurley, who agrees that the presentation of Stonehenge has been “a national disgrace”. That was the term used by the Public Account Committee 20 years ago. Since then, successive governments have come up with a range of proposals that typically involve doing to the A303 what Neolithic man did to the deceased: bury it in the downland. The main road between London and the South-West still rumbles above ground, 200 yards south of the stone circle, but at least the A344 has closed. Previously, the short-cut from Amesbury to Warminster tore along the northern flank, but now the two-mile highway is no more. The busy junction with the A303 has been grassed over, a mere 29 years after Lord Montagu, the first chairman of English Heritage, called for its closure. The former roadway has been put to use to provide access to the stones. Tourists are towed to the periphery aboard the sort of sightseeing shuttle normally found at the seaside. If you book an early-morning or after-hours tour with English Heritage, you can enjoy a gratifying close-up of ancient Britain. Daytime visitors are kept at much more than arm’s length. But that distant encounter is at last properly poignant. “It allows us to reunite the stones with the grass downland,” says Dr Thurley. The low roar from the A303 may still be too close for comfort, but no longer is the ancient stone circle trapped in the headlights of progress. By road, the new visitor centre is a mile north of the A303 on the A360; the postcode is SP3 4DX. The nearest station is Salisbury, on the London-Exeter and Bristol-Southampton lines. Buses run to Stonehenge. The site opens 9.30am-5pm daily, though over Christmas and the New Year there are some shorter hours and closures; see bit.ly/GoStone. That is also the place to make advance bookings, which English Heritage says will be mandatory from 1 February. The advance adult admission is £13.90, or £14.90 for walk-up arrivals. collection of artefacts ever found in a burial from the era, will form the skeletal centre of a much-anticipated new gallery full of Stonehenge stories at Salisbury Museum. A gneiss mace-head, found by Colonel William Hawley in 1924, and an axe and dagger which were found to match the carvings on stone 53 when they were discovered in 1953, will appear in the Wessex Gallery of Archaeology. The £2 million space will knock through and combine the astonishing Pitt Rivers Archaeological Collection and the Early Man gallery. Nottingham-based architects Metaphor will emphasise the theme of discovery in their design, with building beginning this week. Curators say the corridors will explain precisely why the Wiltshire town and its World Heritage Sites play a crucial part in the history of Britain, using timber flooring and glass-reinforced concrete to recreate the feel of the terrain through the centuries. “By Christmas this year the major construction work will be complete,” revealed museum director Adrian Green, pronouncing himself “absolutely overjoyed” to be creating a “world class gallery of archaeology”. “We are developing an integrated approach to the interpretation of Stonehenge. “It means that the Salisbury Museum will be able to create exhibitions directly relating to new displays in the Stonehenge Visitor Centre. “If you like, we will all be part of the same extended conversation. Despite being Grade I-listed and facing Salisbury Cathedral, Green says the museum’s finds from Northern Europe have long been a “best-kept secret”, and expects the museum to “step out of the shadows” when the gallery opens next summer. Antler picks, animal bones, flint and stone tools, chalk plaques and pottery all feature. The museum has already lent around 250 objects to the visitor centre at Stonehenge. The desire to provide Stonehenge with a more appropriate setting lies at the heart of current developments around the monument, of which the new visitor centre and the closure of the A344 are the most visible. However, this desire is far from new, and first came to the fore in the wake of the First World War. 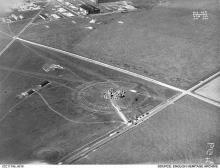 From 1917 to to 1921, Stonehenge had a military aerodrome – the No. 1 School of Aerial Navigation and Bomb Dropping – as a near-neighbour. After 1918, the aerodrome became a focus for debate about just what constituted acceptable and unacceptable modern intrusions into the Stonehenge landscape, ironically at a time when Stonehenge itself was undergoing considerable transformation involving concrete and heavy machinery. As well as looking at the brief history of the aerodrome itself, this talk will also look back at the Stonehenge landscape prior to 1917 – was it really a timeless landscape of rolling downland pasture, occupied mainly by sheep, shepherds, antiquarians and the occasional landscape painter? And what happened to the aerodrome and its buildings? And did the Royal Flying Corps really ask for the stones to be removed because they were a hazard to low-flying aircraft? A talk by Martyn Barber, English Heritage. This lecture is in the Salisbury Museum Archaeology Lectures (SMAL) series. SMAL lectures are held on the second Tuesday of the month at 7.30pm from September to April. 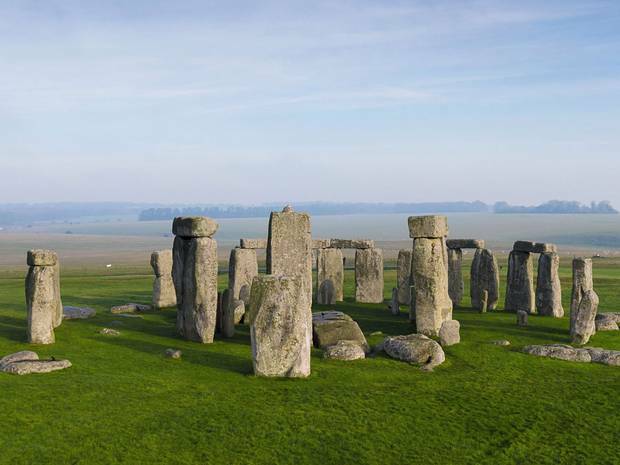 The question as to how Stonehenge’s bluestones travelled about 200 miles from Wales, where they’re thought to have originated, to Wiltshire, England, is only one part of the historic rock site’s mystery. Why these stones hundreds of miles away were chosen for the rock structure is another. A new study suggests the stones could have been chosen for their acoustic properties. That’s the question researchers at the Royal College of Art in London have been working toward answering, according to a recent study, part of the Landscape & Perception project, published in the the Journal of Time & Mind. Researching the rock outcrops in areas where some Stonehenge rocks are thought to have originated, the team found a higher percentage of “sonic rocks,” also known as “lithophones” that produce metallic sounds when hit with a hammerstone. They can sound like a bell, gong or tin drum, according the RCA. In July, the researchers also tested the rocks at Stonehenge. The RCA’s article about the study stated that the team didn’t expect too much of this test because lithophones require space for the sound waves to vibrate. The researchers also felt the stones being anchored to the ground would dampen any acoustic properties they might have. The researchers were therefore surprised when they found the rocks still produced sound and had sufficient space to vibrate. Magical stones. So were the bluestones, coming from a mysterious soundscape, invested with special magic, special sanctity, in the eyes of the megalith builders? 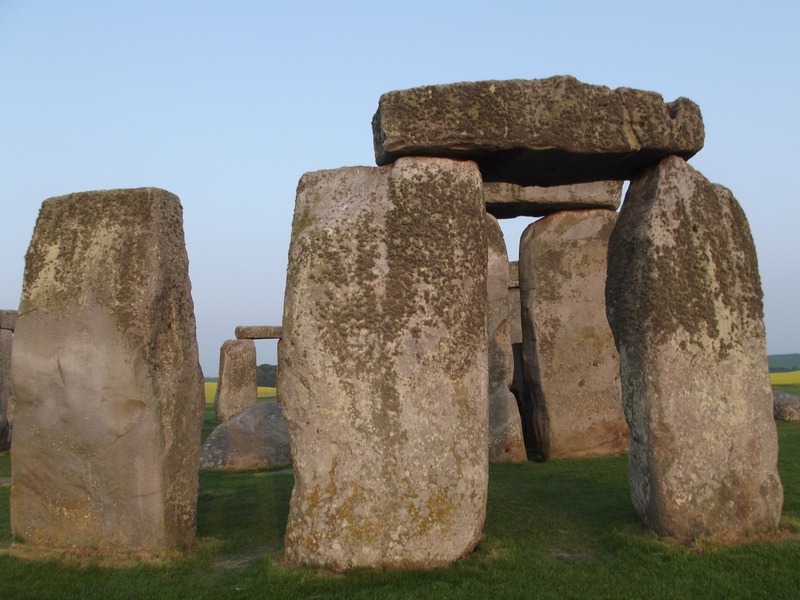 The L&P project investigators believe so, and that this may have been the prime reason behind the otherwise inexplicable transport of these stones nearly 200 miles from Preseli to Salisbury Plain. There were plentiful local rocks from which Stonehenge could have been built, yet the bluestones were clearly considered special. The old stones speak. 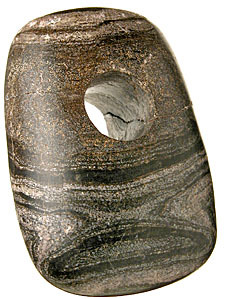 Today, ringing rocks, lithophones, are considered as mere curiosities, but it’s a mistake to project our modern prejudices on to prehistory: we know from cross-cultural studies that in much of the ancient world, echoes from rocks, cliffs or inside caves, or rocks that made musical or unusual sounds when struck, were thought to contain spirits or magical forces. In particular, ringing rocks, ‘lithophones’, were held in high regard. The architects of Stonehenge may well have held similar beliefs.